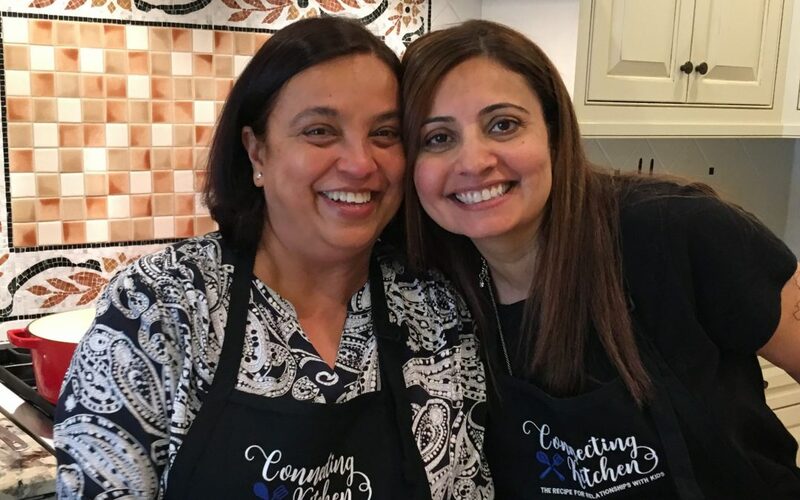 These two special ladies and very good friends, showed us how to make their everyday Indian Chicken Curry. I have been asking them for a long time and we finally got it together! 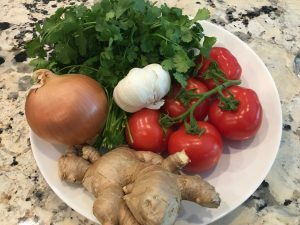 It’s simple to make, it’s good for several meals, and it’s just as good if not better the next day. And if that’s not enough, this is one of the best things I have ever eaten!! It is so interesting to see what is tradition for other people. Although it seems exotic to me, this is the food they grew up with. This is probably like the roasted chicken I grew up eating weekly, that I now make when I need something simple, and tasty, that is comforting, and I know everyone will like. 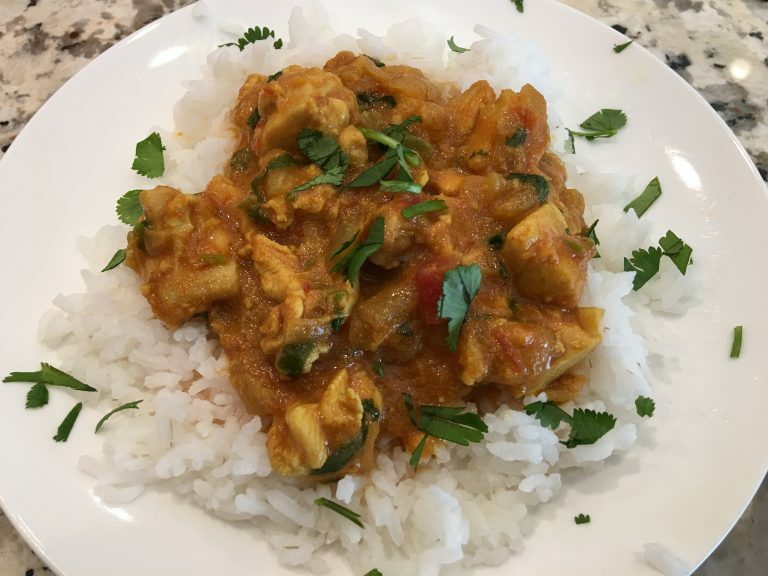 This Indian Curry is like Health in a pot! 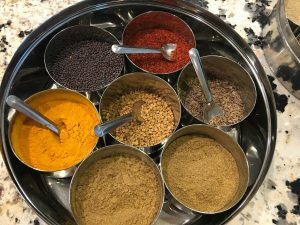 So many superfoods — onions, garlic, ginger, tomatoes, the rich Indian spices cumin, coriander, turmeric, and cayenne. With a side of friendship, both primary and secondary foods are served. Primary foods are the things in our lives like friendship, community, career, education, exercise, and spirituality, that nourish us as humans but are not what we think of as traditional food. The secondary foods are what we actually eat. What is interesting to note is that the primary foods have a bigger impact on our health and wellness than what we eat, so make sure to get enough primary food! This meal is inexpensive and goes a long way. I had this for lunch 4 days in a row after serving all of us. It never gets old! You can also make it vegetarian by substituting chickpeas for the chicken. I haven’t tried it yet, but they assured me this works. Serve it with naan, the traditional Indian bread, or over long grain Basmati white rice. Or eat it with a spoon right out of the pot! That might be my favorite way. 1 tsp. cayenne pepper more if you like it hot! 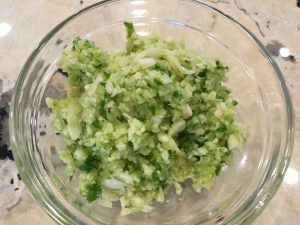 In a food processor add ginger, garlic, and green chili pepper and process until a fine dice. Add oil to a large and deep non-stick pot. Heat over medium-high heat. When hot, add the chopped onions. Sauté until they start to turn brown. Add the ginger/garlic mixture to the pot and stir for 2-3 minutes until golden brown. Add the spices, stirring to combine with the onions, ginger, and garlic. Add the chicken pieces and stir to combine. Add the yogurt, water, tomatoes, and salt. Bring to a simmer. Cover and cook for 20 minutes. Sprinkle on the garam masala and fresh cilantro. Mix to combine. Cook uncovered until the curry is the consistency of a thick stew.